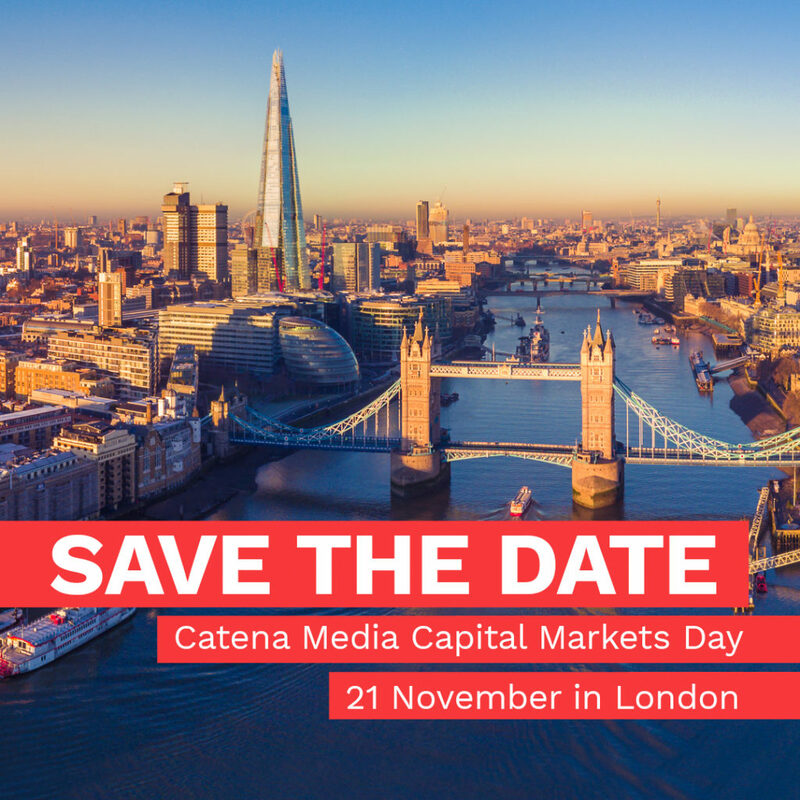 Catena Media invites analysts, investors and media to the Capital Markets Day held on 21 November at The May Fair Hotel, Stratton St, Mayfair, London W1J 8LT between 12.30 and 16.00. The invitation is also for lunch starting at 11.30 prior the event. The event will give an insight into the company´s performance, strategy and future. Please sign up via www.catenamedia.com/capital-markets-day by 13 November.